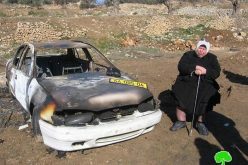 In the early days of December 2008 a wave of attacks against Palestinians were carried out by Israeli colonists in the Nablus and Qalqilia governorates in complete synchronization with the attacks in Hebron governorate. The attacks took place as Israeli occupation forces were evicting Israeli colonists from Al Rajabi Building in Hebron City. On December 4th, 2008 Israeli colonists in the north wrote offensive anti-Islam slurs on the walls of mosques in the villages of Kufl Hatith, Dier Istiya, Jinsafut, Kufr Laqif, Azzun Al Shamaliya and the village of Al Nabi Ilyas. In addition, the colonists broke the windshields of a number of Palestinian cars as well as the windshield of an ambulance belonging to the Palestinian Red Crescent Society. Governmental Hospital. It was attacked by Yitzhar colonists. 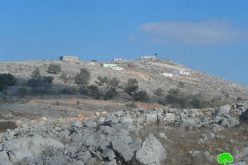 On December 2nd, 2008 a group of Israeli colonists attacked a number of Palestinian villages in the vicinity of the City of Nablus; the house of Mr. Abu Bassam Al Najjar in the village of Burin is located across the entrance of the colony of Yitzhar. It was attacked by a stream of rocks and stones thrown by colonists leading to breaking the windows of the house as well as Abu Bassam’s car. 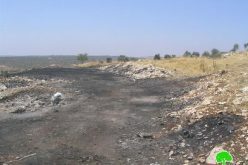 In addition, the colonists threw stones at Palestinian vehicles traveling through the Jit-Huwwara-Yitzhar road leading to damaging a number of them. 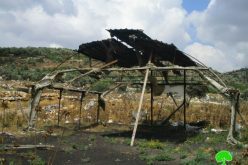 Mrs. Huda Al Najjar indicated that the colonist set a number of olive trees ablaze in a location 300 meters away from her family’s house. Abu Bassam contacted the Palestinian Liaison Office who, in turn, contacted its Israeli counterpart in order to stop the attacks. A number of Israeli jeeps arrived at the scene and tried to rein in the colonists and stop their attacks against the house of Abu Bassam and the passing Palestinian vehicles. It took the Israeli forces two hours to prevent further attacks. 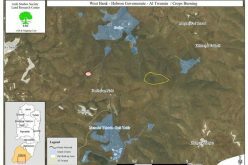 Threats were also abundant in the village of Al Laban; On December 1st, 2008 a verbal ultimatum was issued by the Head of the Israeli Liaison Office in Nablus District directed at the principal and teachers of Al Laban High School. 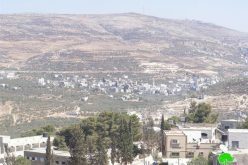 The threat was that he will close down the school for a period of 24 hours for each stone thrown at colonists driving on the Nablus-Ramallah Road. The unfolding events point towards the existence of a high degree of coordination in the file-and-rank of Israeli colonists spread throughout the colonies in the West Bank; Some of them went to Hebron to actively participate in the stopping the eviction of colonists from the Rajabi Building while other spread lawlessness and anarchy throughout the West Bank. 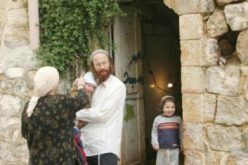 It is an indication that colonists are taking the law into their own hands to force de facto realities calling to the forced eviction of Palestinians from their lands and replacing them with Israeli colonists. Israeli occupation authorities have given the colonists all needed help and facilities to enforce this awkward situation as to make any future agreement with the Palestinians virtually impossible.